Richard and Darla Radcliffe, the owners of Occidental Ridge Vineyard, with sons Ben and Nick and faithful 'Dog of the Sun' Apollo. After 20 years in the restaurant industry as a chef in San Francisco, Richard sought to tackle a new existence and challenge - in the world of winegrape farming. The main inspiration for this change was his experience helping a few years with harvest/crush operations at his cousin’s winery in Calistoga. Escaping 14 hour, 6-7 day weeks probably played into that as well. 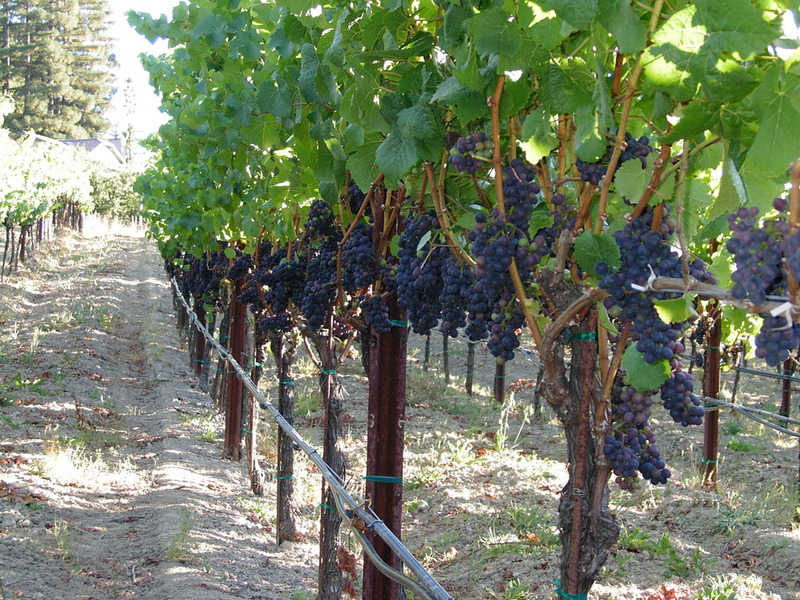 In 2004, Richard and Darla were lucky enough to have found a young, established vineyard above the town of Occidental. After receiving mentorship, taking viticulture classes, reading everything he could get his hands on, and investing in equipment, Richard has taken on all the day-to day management of this vineyard. Antonio Galloni gives the 2012 Failla Occidental Ridge Pinot Noir 93 points!! Wine Enthusiast gives the 2010 Failla Occidental Ridge Pinot Noir 97 Points!